Alteration in the natural soil due to human activities is known as Soil Pollution or Soil Contamination. 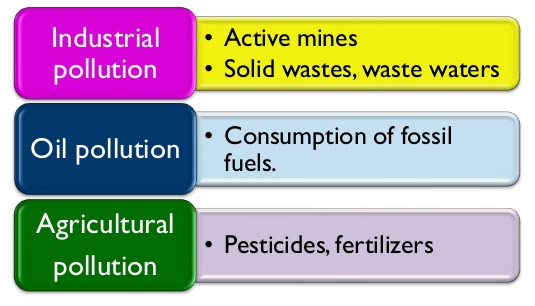 Industrial Activities are one of the main cause of soil pollution. In India, as mining and manufacturing activities are increasing with time, soil degradation is also increasing. Extraction of minerals from the earth is responsible for affecting soil fertility. Agriculture Activities such as use of insecticides and pesticides for a long period causes soil pollution. The repeated use of pesticides and insecticides causes insects and pests to become resistant to it. Instead of killing pests and insects, it degrades soil quality. Use of DDT, Aldrin and Dieldrin makes insects resistant against them. These pesticides are also water soluble and non-biodegradable. 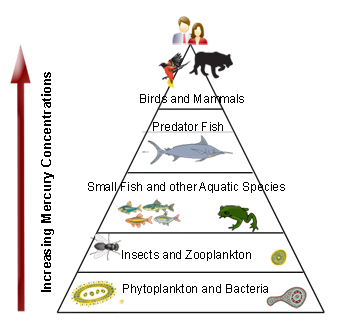 These toxic materials are then passed from lower trophic level to higher trophic level and gets accumulated. This is known as Biomagnification. Waste Disposal is a serious issue that causes soil pollution. Personal waste such as urine and faeces are dumped directly in the form of diapers. It causes both soil and water pollution. 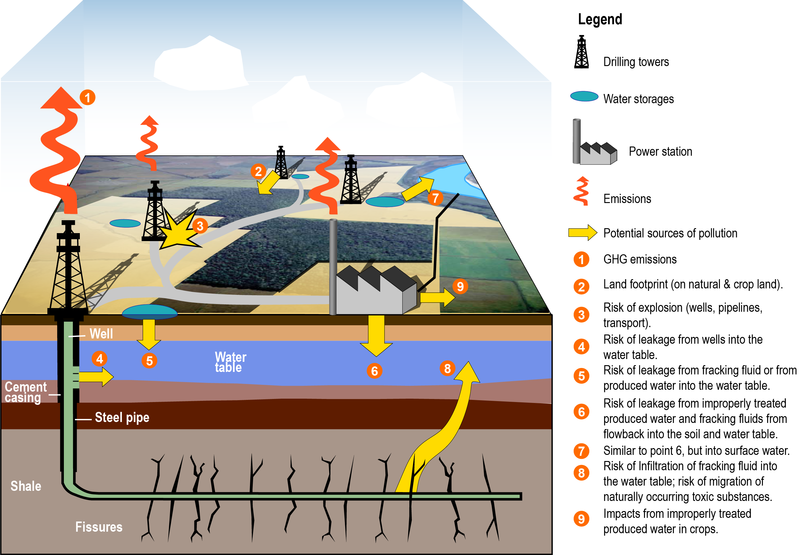 Accidental Oil Spills also promote soil pollution. Oil leaks from fuel stations deteriorates the quality of soil. 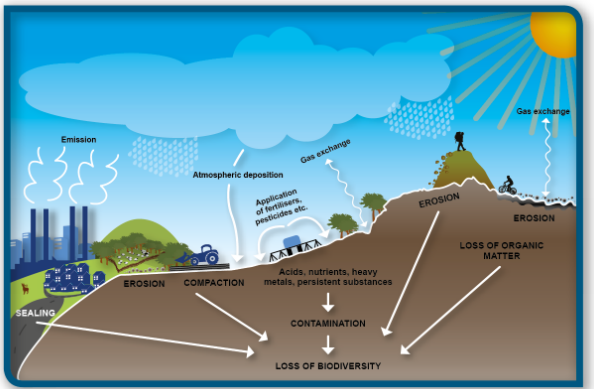 Acid Rain dissolve away the important nutrients of the soil, thus makes it unsuitable for agriculture. Nuclear Waste also promotes soil degradation. Heavy Metals such as lead, if mixes with soil degrades its nutrients quality. It affects the health of the humans. Crops or plants grown on such contaminated soil absorbs toxic material from the soil. When animals or human beings consume these crops, or plants the toxic material is passed into their body. Long term consumption of these crops may cause chronic diseases which are non-treatable. These toxic materials such as heavy metals, organophosphates pesticides may prove to be carcinogenic. Organophosphate pesticides inhibit nerve impulse transmission as it acts as inhibitor of acetylcholine. It affects the growth and the yield of the plants. If plants are unable to get proper nutrients from the soil, growth decreases and thus affects the yield of crop plants. Soil fertility decreases as soil nutrients are either drain away due to acid rain or excessive use of pesticides and insecticides decreases the soil fertility. It alters the ecosystem balance by affecting the growth of the living organisms. It affects the metabolism of microorganisms and arthropods, thus affects the food chain. This in turn affects predators and carnivores. Harmful materials are passed from one trophic level to another trophic level. This increases mortality rate and extinction rate. 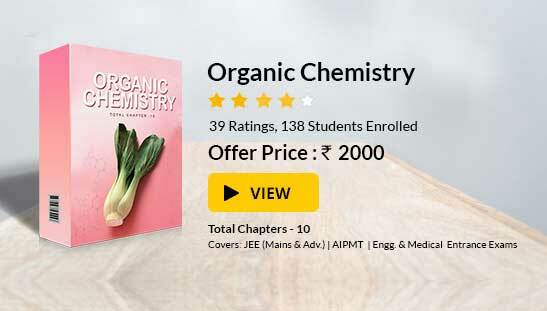 To read more, Buy study materials of Environmental Chemistry comprising study notes, revision notes, video lectures, previous year solved questions etc. Also browse for more study materials on Chemistry here.